Middle-earth March Madness – FINAL! Vote now to decide this year’s Champion! Last two standing – here we are at the Middle-earth March Madness FINAL for 2018. 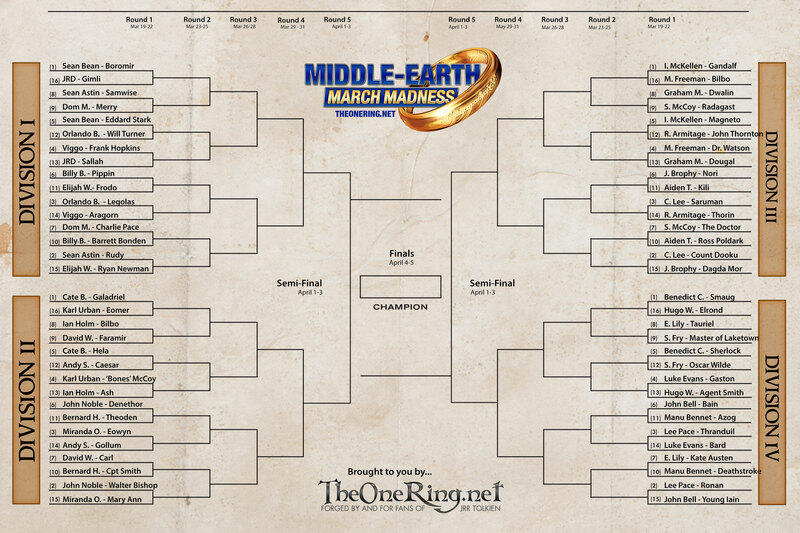 Two – well, not men… – enter, one leaves; who will be Champion this year? In the Final Four, we saw Samwise Gamgee take on Gollum, and Gandalf face Elrond Half-elven. Both Sam and Gandalf have been Middle-earth March Madness Champions before – twice, in the wizard’s case – but for the other two, the heady heights for the Final Four are new. The contests were tight; Sam took an early lead in his duel, but by the second day, old Stinker had pulled ahead. 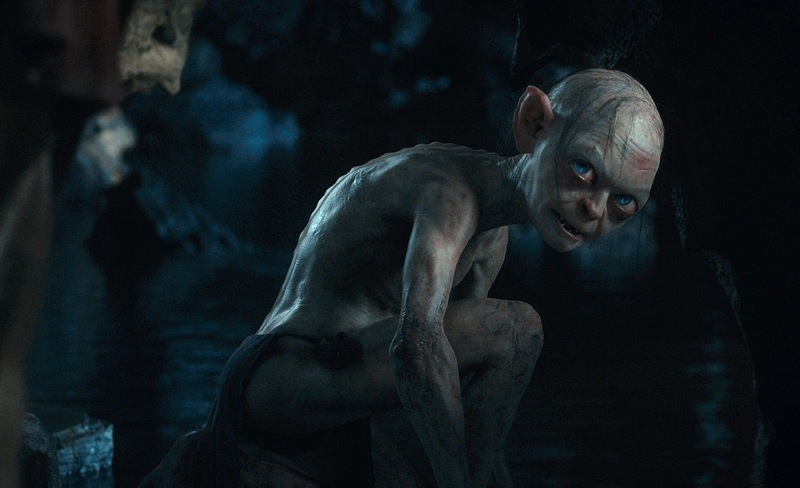 Gollum finally went on to win that battle convincingly, claiming over 60% of the vote. In the second pairing, it was neck and neck right down to the wire, with less than 1% in it at times. In the end, however, elvish power triumphed over Maiar magic, and Half-elven came home with 54.35% of the vote, to Gandalf’s 45.65%. So this year will definitely see a NEW Champion crowned! Gollum faces Elrond in a fight to the finish. Can tricksssy deviousness overcome the power of a high elf? Will Smeagol help out, making it two against one? You decide!